This past summer, we attended the 50th anniversary party for our neighbors. Being married for 50 years is a huge accomplishment and they are such a fun couple! It was a potluck and someone brought a brownie trifle with fudge sauce and whipped cream that was to die for. 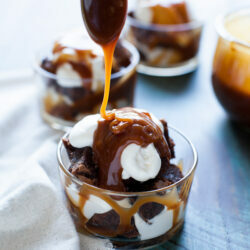 I knew I had to make it one day but I thought I would change the fudge to a salted caramel sauce. I love working with Land O Lakes and this is my fifth and final post for Kitchen Conversations this year. Since it’s all about butter, I had to do it up big. 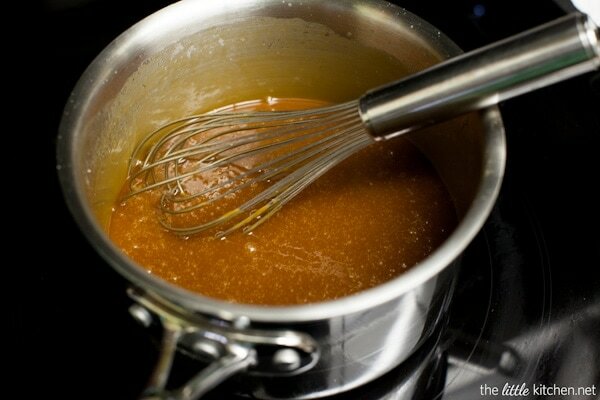 Making my own caramel sauce has been on my bucket list for a long time but I was scared. I know and it was an unreasonable kind of scared but I conquered it! (If you have never made it before, please do. You can do it!) 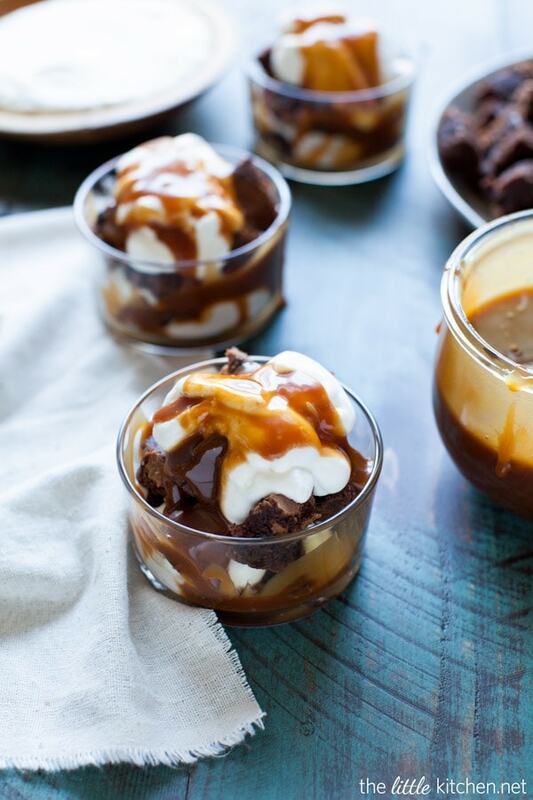 I made the most amazing and simple salted caramel sauce…that I know you’ll love! And the best fudgy brownies! Both with Land O Lakes® Unsalted Butter. 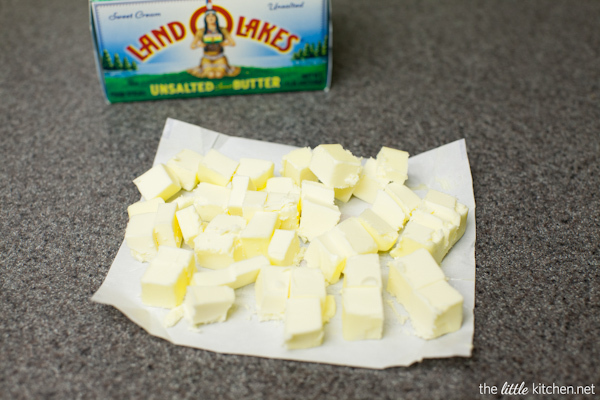 It’s officially the holiday season so I always have tons of Land O Lakes Butter on hand for baking and cooking. I love the Flavor Protect Wrapper® it comes in so it stays fresher longer. And I need to admit I actually get twitchy when I’m down to only one box of butter! Let’s start with the caramel. Cut the butter into cubes and let it sit on the counter to come to room temperature. Add sugar and water and mix. THEN turn the heat on. 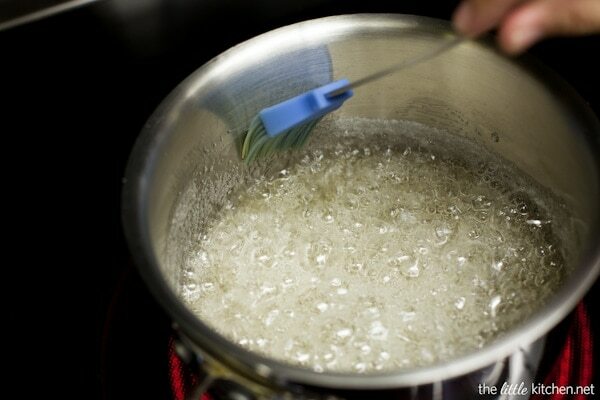 Once the heat is on, you do not want to mix or the sugar will crystalize. Swirl the pot a little bit. You can use a brush with water to break down the crystalized sugar on the sides. 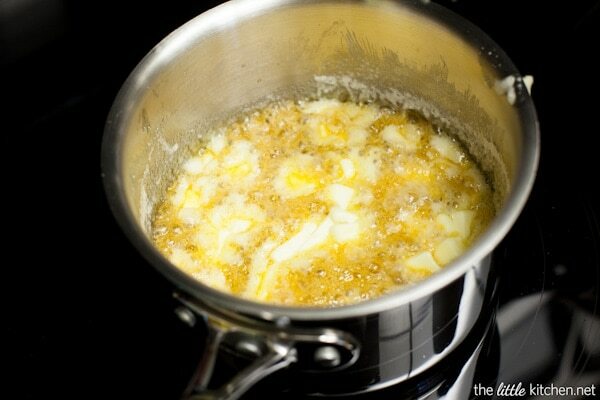 Once it starts turning an amber color, add the butter. Turn the heat down to low. Be careful when adding the butter and the heavy cream, it does bubble up a little bit. Add vanilla extract and sea salt and whisk again. Caramel! It did take me three times and I finally got it. I didn’t whisk the ingredients when I needed to, I thought mixing was good enough. 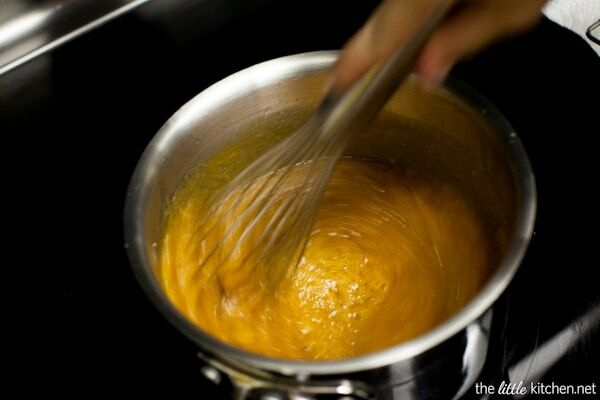 Don’t make the same mistake, so make sure you whisk vigorously until well blended. To make the brownies, chop up bittersweet chocolate. Whisk the cocoa powder, hot water and chocolate until it’s completely melted. Add the melted butter and whisk. Add sugar and whisk. Then, add the rest of the dry ingredients and mix with a rubber spatula. 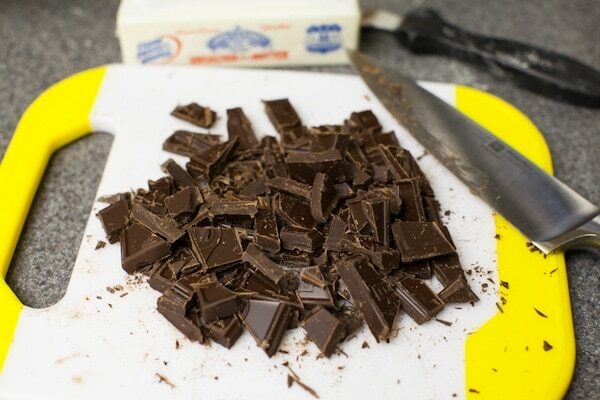 Add the dark chocolate chips and mix just to combine. 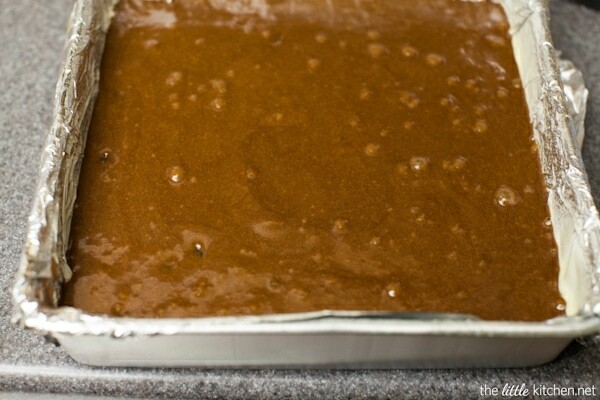 Pour the batter into a foil lined baking dish that’s been sprayed with baking spray. 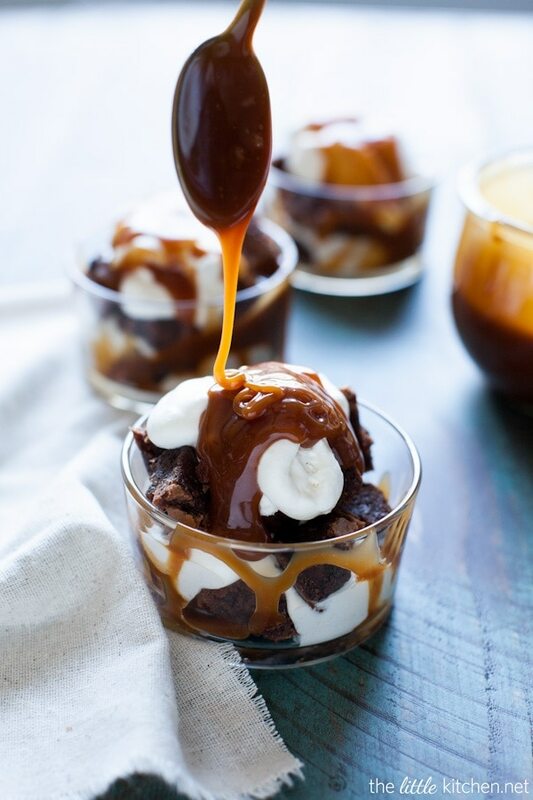 Once the brownies cool, cut them into bite-sized pieces and layer them with whipped cream and salted caramel. 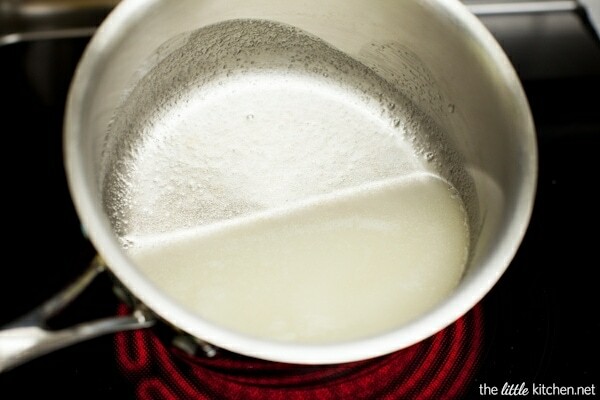 Add sugar and 1/4 cup water to a stainless steel pot (that has a heavy bottom and high sides). Mix to combine and then turn heat to medium high. Swirl the pan but don't stir! 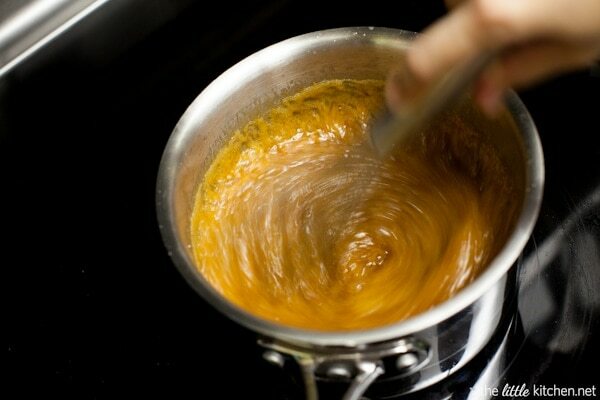 Cook until the sugar turns to a caramel color, about 13-14 minutes (watch carefully so it doesn't burn). Turn heat down to low. Add butter (it will be really hot so be careful) and whisk until thoroughly combined. Again, being careful, Add heavy cream and whisk thoroughly. 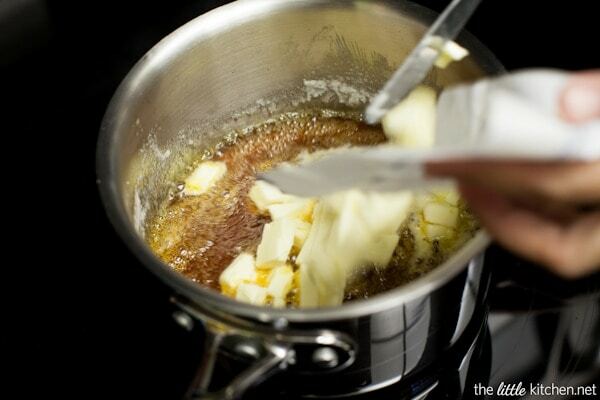 Remove from heat and add vanilla extract and salt (add more if you like it more salty) and whisk thoroughly. Allow to cool completely before putting into an airtight container and refrigerating. Heat oven to 350 degrees F. Line a 9-inch baking pan with foil. Spray with baking spray and set aside. Melt butter and set aside. Whisk flour and salt in a small mixing bowl. 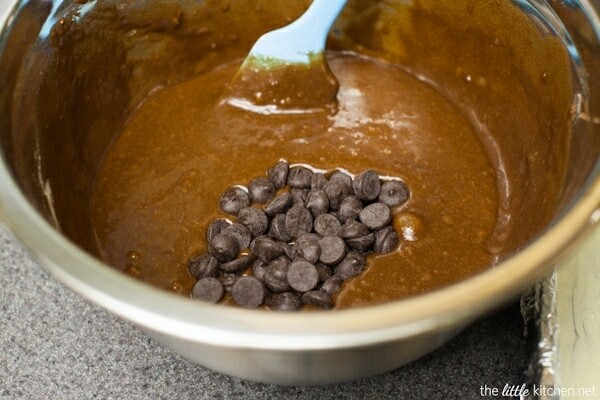 Add cocoa powder, espresso powder, and chocolate to a large mixing bowl. Add hot water and whisk together until chocolate is melted. Add butter and whisk thoroughly. 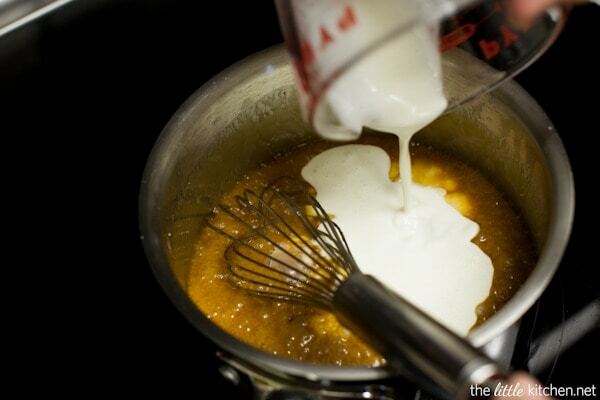 Add eggs and vanilla extract and whisk until thoroughly combined. 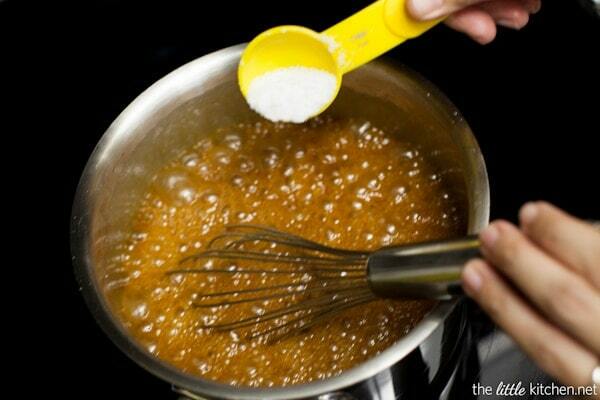 Next, add sugar and same, whisk until thoroughly combined. 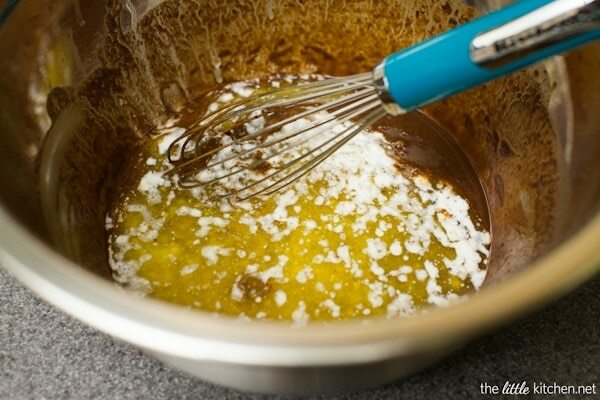 Add dry ingredients and mix with a rubber spatula just until combined. Don't over mix. Add chocolate chips and using the rubber spatula, mix in. Pour batter into prepared pan. 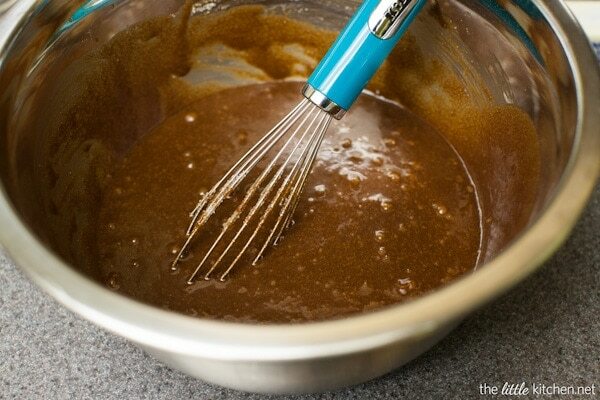 Spray an offset spatula with baking spray and spread batter so it's even and the top is smooth. Bake for 35 minutes. Remove from oven and place on baking sheet for 10 minutes. Picking up foil on both ends, remove from pan and place on baking sheet and allow to cool for at least 2 hours. Cut brownies into square bite-sized pieces. While the brownies are baking, add whipped cream ingredients to a large glass mixing bowl and mix on medium high speed with an electric hand mixer until cream has stiff peaks, at least 4 to 5 minutes. Store in the refrigerator until needed. 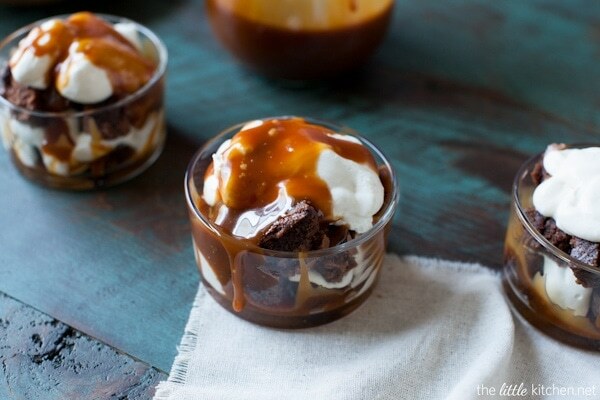 Layer brownies, salted caramel sauce and whipped cream in small trifle bowls or one large one. Refrigerate until ready for serving, up to one day. 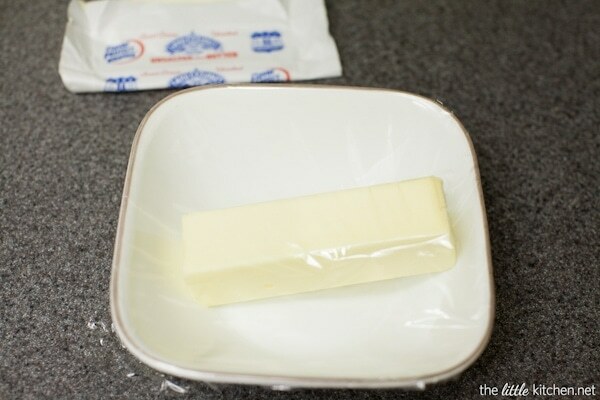 Melt butter in a bowl covered with plastic wrap in your microwave. Melt in 8-10 second increments or use melt function.